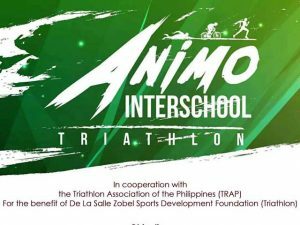 Animo Interschool Triathlon on April 15 in Imus City, Cavite | JustRunLah! 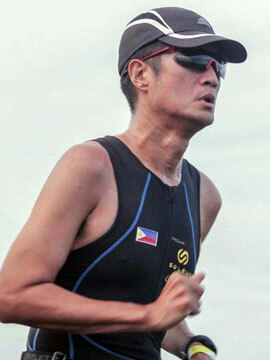 PHILIPPINE TRIATHLON is expected to get a big boost with the staging of the First Animo Interschool Triathlon this April 15 at the Vermosa Sports Hub in Imus City, Cavite. The one-day event will feature several age categories ranging from 11 to 17 years and is held in cooperation with the Triathlon Association of the Philippines (TRAP) for the benefit of the De La Salle-Zobel Sports Development Foundation. Aside from enhancing TRAP’s grassroots program, the event hopes to foster school pride as participants must represent a school. Already, several schools have already placed triathlon among its varsity programs. Online registration is still ongoing up to April 8 at Manila Box Office and race kits will be claimed on race day. Entry fee is PHP 3,150.00 for all individual events while relay teams will be charged PHP 4,500.00. Kids aged 11 to 12 will be subjected to a 250-meter swim, eight-kilometer bike ride and two-kilometer run. The distance will increase to a 500-meter swim, 15-kilometer bike ride and three-kilometer run for the 13-14, 15-17 and relay races. TRAP hopes to build up on their recent success of winning all four gold medals available in the last two editions of the Southeast Asian Games thus raising the profile of the sport. The Philippines is slated to host the biennial meet next year and would like to continue its winning ways on home soil. Meanwhile, all participants are expected to enjoy to modern facilities of Vermosa which formally opened this year. Vermosa boasts of an Olympic-sized swimming pool, well-paved roads and a track oval among others.